Burlington subdivision is a 65-acre residential neighborhood, platted with a mixture of single-family and multi-family housing. 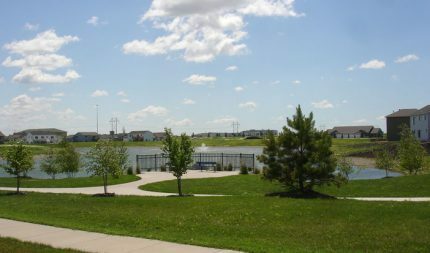 The development included an aesthetic storm water retention pond with large lots and an abundance of green space. This open and spacious layout provided an opportunity to create scenic and recreational amenities for these residents and surrounding neighborhoods. Moore Engineering was hired by the West Fargo Park District to assist in planning and implementation of park tailored to this unique development. Planning the park facility was a collaborative process that involved park district staff, city planners and local residents. Options were developed by Moore Engineering along with cost estimates to meet the budget goals of the Park District. 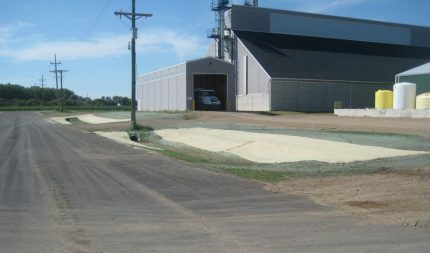 Upon selection of a preferred option, design plans were prepared for implementation and construction. 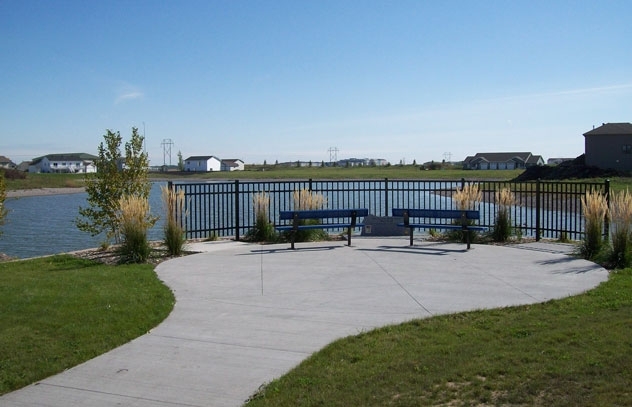 This project entailed the reconstruction of pond shoreline to enhance aesthetics and accommodate park attributes. A scenic overlook was constructed using retaining walls with access to a seating area that provides an elevated view over the pond. Recreational improvements included an outdoor basketball facility and designated green space for leisure activities. Multi-use paths were strategically networked throughout the development and park to provide access and connectivity. The completion of the park successfully met the needs of this development. Effective planning helped the project stay under budget while providing a variety of amenities. 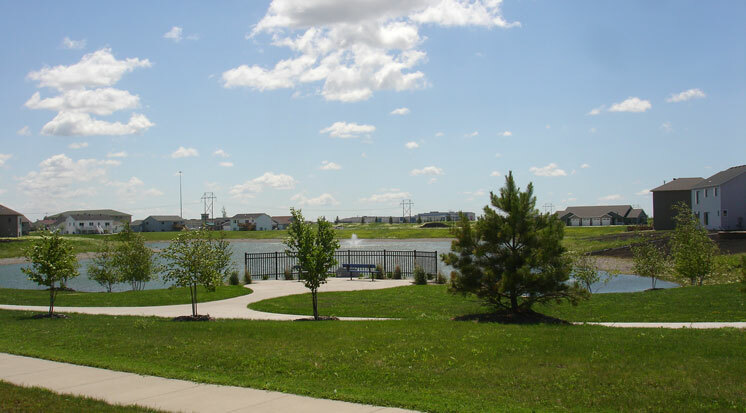 The project not only offers recreational opportunities as a traditional park, but provides scenic and landscape features that enhance the aesthetics and create an inviting atmosphere for the neighborhood.